Food security is a major area of concern for the five nations that constitute BRICS. BRICS countries account for more than 40% of the world population and 25% of world GDP in PPP terms. Besides, these countries have a key role to play in the post-crisis global economy as producer of goods and services, receivers and exporters of capital, and/or consumer market on large potential. More importantly, these ones envisage ways to promote food security and food production in Third World countries by raising agricultural productivity and output via initiatives like the creation of basic agricultural information exchange system of these countries; enhancing investments in the food supply chain; developing a social safety net through conditional income transfer programmes for the poorest of the poor. 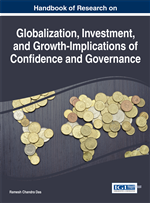 In this context the present chapter examines the status of food security of BRICS economies in the context of globalization and governance and its implications thereof. Food security has emerged as a serious concern for policymakers of the world over. Globally, food security is under serious threat, raising the very real fear that the Millennium Development Goals (MDGs) of halving the proportion of hungry people during 1990 – 2015 may not be met. Accordingly to the Global Hunger Index (GHI) Report 2010, the number of undernourished people exceeded one billion in 2009. In the late nineties, and particularly since 2000, food security has become a standing item on the global agenda and the object of various intergovernmental processes (most notably a series of world food summits dealing with food security in 1996, 2002, 2008). From 1990 to 2000, relative stability in the global food supply resulted in a period of complacency and reduced investment and innovation in food industries compared to other sectors. The exceptional food price hikes in 2008-13 brought back to the forefront the understanding that effective markets and national-level policy decisions are not sufficient for preventing major imbalances among nations and among specific vulnerable population groups, and that uncoordinated short-term national policies can result in destabilizing global impacts on prices and access to food in other countries. Globalization has made a scope for increased cooperation among the BRICS (the acronym for Brazil, Russia, India, China, and South Africa invented earlier in 2001 including South Africa by the chief economist Goldman Sachs, with the claim that these countries would become the major players in a future world economy) to promote food security, which at present a serious concern for policymakers, by raising agricultural productivity and output via initiatives including the creation of basic agricultural information exchange system of these countries; enhancing investments in the food supply chain; developing a social safety net through conditional income transfer programmes for the poorest of the poor; as well as undertaking measures to reduce the negative impact of climate change on food security, enhancing agricultural technology cooperation and innovation as well as through promotion of inter- trade and investment in agriculture. Also the BRICS countries could envisage ways to promote food security and food production in Third World counties. To make these efforts prudent, governance of globalization and food security system among these countries is urgently called for. BRICS countries appeared increasingly eager to engage on the global stage. Whatever had occurred in their past was over and done with. Globalization was happening and they wanted to be part of it. There were other unique economic factors which determined the BRICs status as countries to watch. India is witnessing demographic dividend. Russia had already been invited to join the G7 in 1997 as the West sought to encourage the country towards free markets and democracy following the collapse of communism. Brazil seemed an increasingly likely candidate because, like China during the Asian crisis, it had recently become a more thoughtful economic player.